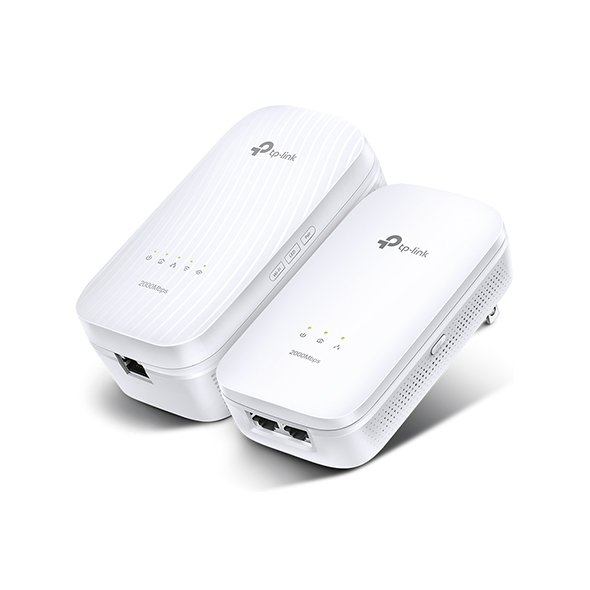 The latest HomePlug AV2 technology delivers speeds of up to 2000Mbps over Powerline, preventing lost speed during transfers. Through the Gigabit Ethernet port, your experience is just like a direct link to your router. 2×2 MIMO is like adding extra lanes to a highway. This doubles transfer speeds, as well as avoiding interference from other appliances, providing speed with stability. gaming on multiple devices at the same time. powerline adapters, all it takes is three steps to get online. First, connect your TL-PA9020 to the router. Then, plug in the TL-WPA9610 wherever you need extra coverage. Wi-Fi Auto-Sync now combines two technologies for a simple, smart network. Pressing the Wi-Fi Clone button instantly copies your network name and password from your router for easy setup. Wi-Fi Move automatically applies any settings changes across the network. Together, these two features make managing your Wi-Fi network easier than ever. adapters from any iOS or Android device. A streamlined minimalist design fits perfectly in any home. Rounded corners ensure safety for everyone in the family. Ample ventilation prevents overheating for cool, unhindered performance. *The terms “AV2000” and “2000Mbps” are derived from applicable specifications and refer to the theoretical maximum physical-layer data transfer rate. 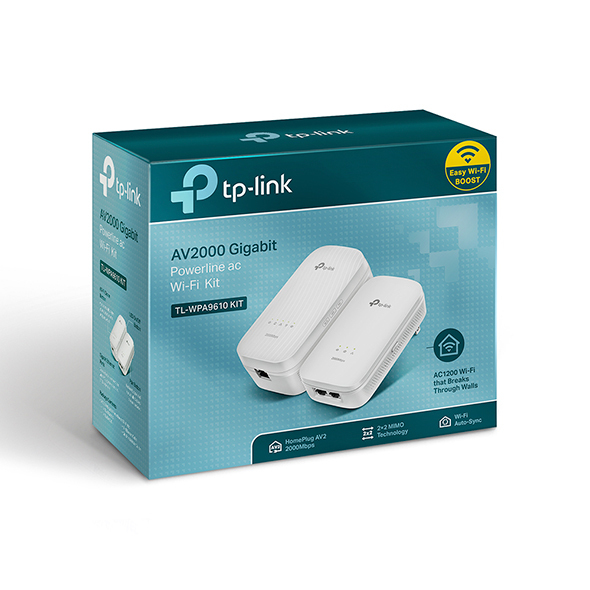 Those terms are used on this product solely to indicate its compatibility with other “AV2000” or “2000Mbps” powerline devices. Actual data speeds vary and may be limited by the product’s Ethernet port and other network conditions such as data traffic, electrical noise, and wiring issues. For better performance, powerline devices should be deployed on the same electrical circuit and rated for the same HomePlug standard. A minimum of two powerline devices are required to establish a powerline connection. If you are uncertain about your network conditions, you should consult an IT professional to assist in selecting a networking product. *Actual power saved varies based on network conditions and environmental factors.